Spring break is upon us – well at least in our catchment. With kids about to pour out of schools for 2 weeks, I can sense every parent doing the boredom panic. 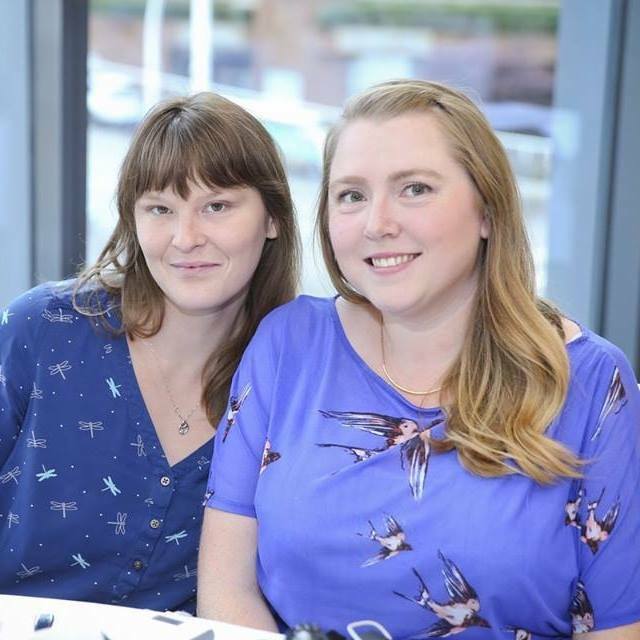 Frantically on the search for things to keep kids entertained and also still learning while having fun! We’ve been lucky enough to share the #PlayTestShare spring fun in the past and this year is we were pretty excited with our choices… I mean, LLAMAS were part of the campaign, this had to happen right? One of our favourite things to do during the spring time is to dig out the colouring books and have them on the coffee table for A to dig into anytime she feels board. We have tons of different types with cross words, stories and stickers but most of them are pretty limited in engagement. 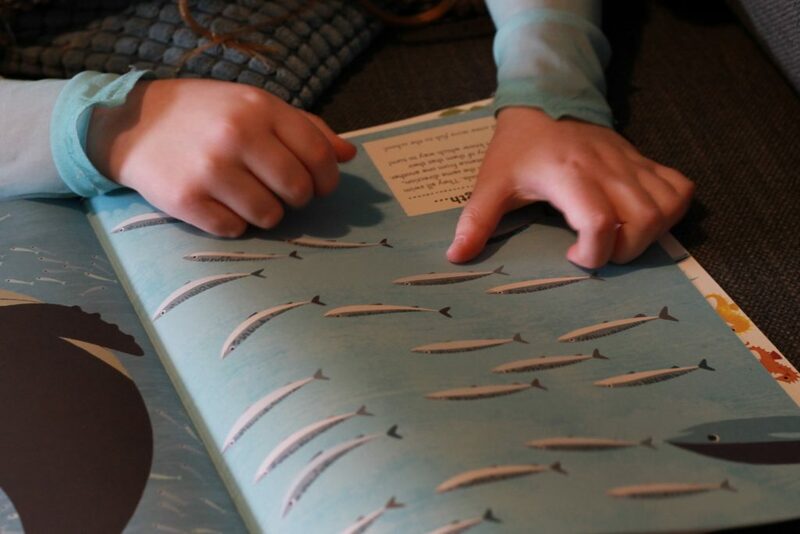 When In The Ocean: My Nature Sticker Activity Book by Olivia Cosneau came, we were thrilled! This unique book tells the story of many of A’s favourite ocean creatures that she’s learned to love at the Vancouver Aquarium and helps her to learn even more about them in an interactive way. The worlds oceans are home to many amazing and exciting creatures, from the tiniest organisms like plankton to the world’s largest animal, the blue whale. In The Ocean gives children the opportunity to learn alongside some of these amazing creatures with a call to action on each page! 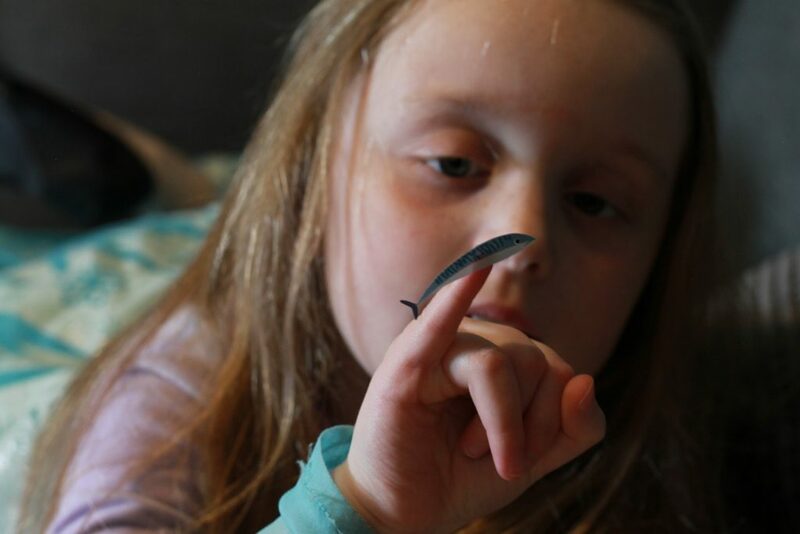 With a full sheet of beautifully illustrated stickers, kids are invited to add more fish to the minnow school and to stick on the whale’s baleen for example. The reading level of In The Ocean is perfect for early readers with quite a few sight words and a few challenging words that advanced readers may catch. A really enjoyed finding each call to action on the page (hint, it’s usually italicized at the bottom) and then flipping to the centre sticker page to find what she needed to do! With each page children are invited into a different ocean level to meet a new creature! We really loved that there was so much to learn inside an interactive colouring book, though there is tons of stickers to use to fill the pages there is also some fun prompts to encourage kids to colour in ocean scenes and parents can add in their own like counting fish, finding sight words, naming colours and more. 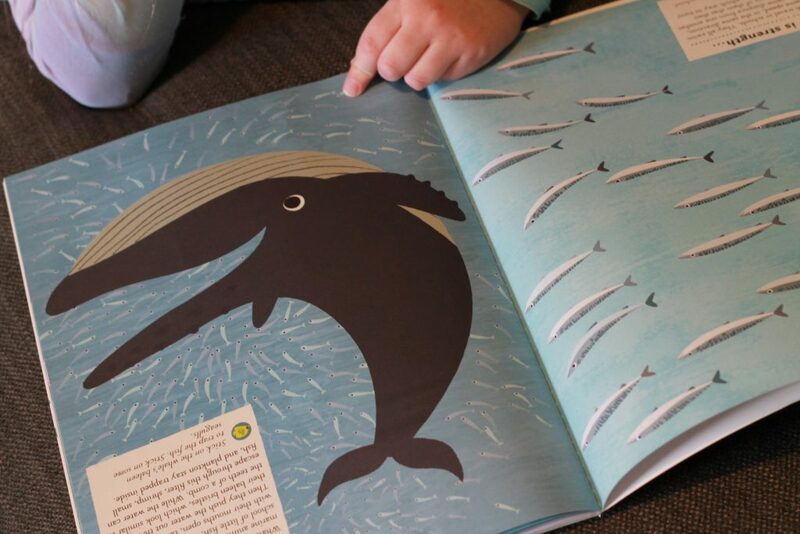 There is a ton of boredom busters inside In The Ocean My Nature Sticker Activity Book! Probably my personal favourite from the PlayTestShare list was our new favourite family board game, you guys know how much I love sloths right? Well Llamas are a close second! When Llamanoes was delivered both A and I were super excited to dive into it! Unfortunately we haven’t had as much time as we’d like to play with her having been in and out of the hospital last week but she did have a moment to flip through the cards and have a pretty good chuckle at the illustrations! From Llama-nardo da Vinci to Llama-nauts and Super Llama, there’s many laughs to be had when matching up these colourful cards! Llamanoes is exactly what you’d think it is! 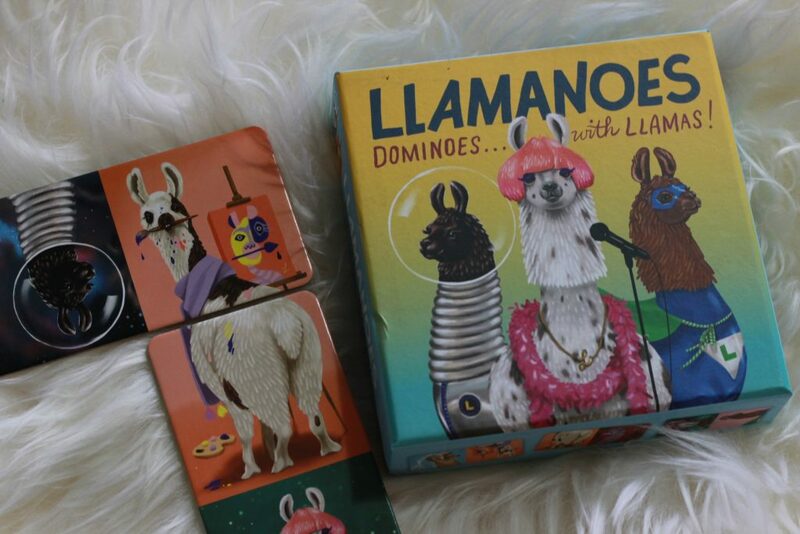 Dominoes, with llamas! This goofy game is the perfect boredom buster and perfect for all ages! It’s simplistic enough that littles can easily match up these hilarious cheeky llamas and and encourages multi-levels of play. Parents can use this game as a way to develop matching and fine motor skills, seek and find, counting and much more. Raincoast Books wants to help kick start your Spring Break by giving one of our lucky fans a copy of Llamanoes of their own! Want to win? Enter below! I like the “draw like an artist: pop art” the most! The sticker activity book is hours of entertainment in our house! I love the nature sticker book – kiddo would love it! I like Alpha Shapes most. I like the Crocodile and Friends Animal Memory Game. I like the After Dinner Amusements: Which Would You Choose? because it would be great to use on our family road trips to get some interesting conversations started in the car. 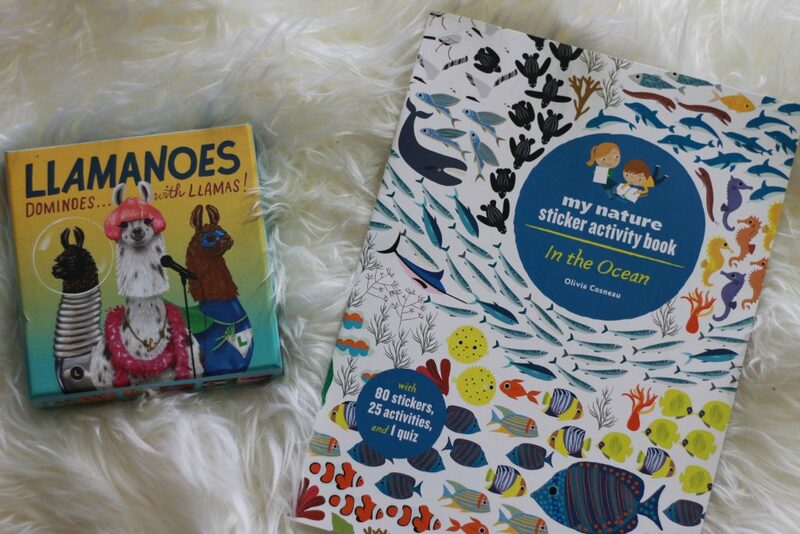 In The Ocean: My Nature Sticker Activity Book because my daughter would love the drawings + the stickers!!! I like Crocodile and Friends Animal Memory Game the most. The “Llamanoes” game would be the most fun for our family. Llamanoes Looks like fun! I think my daughter would like it. Thanks! Crocodile and Friends Animal Memory Game is my favourite. Llamanoes looks like a fun game to have!! My daughter would adore the nature sticker book! Crocodile and Friends Animal Memory Game sounds like a fun game for younger kids. I love Draw Like an Artist: Pop Art. I like the Draw Like an Artist: Pop Art. I think Mystery Mansion would be my favourite. Pass the Parcel looks like a lot of fun! And my daughter would love Llamanoes! My oldest son would love the ocean sticker book! He has always loved all sea creatures, and we like sticker books 🙌🏻 Thanka for the giveaway!! The Mystery Masion looks awesome! 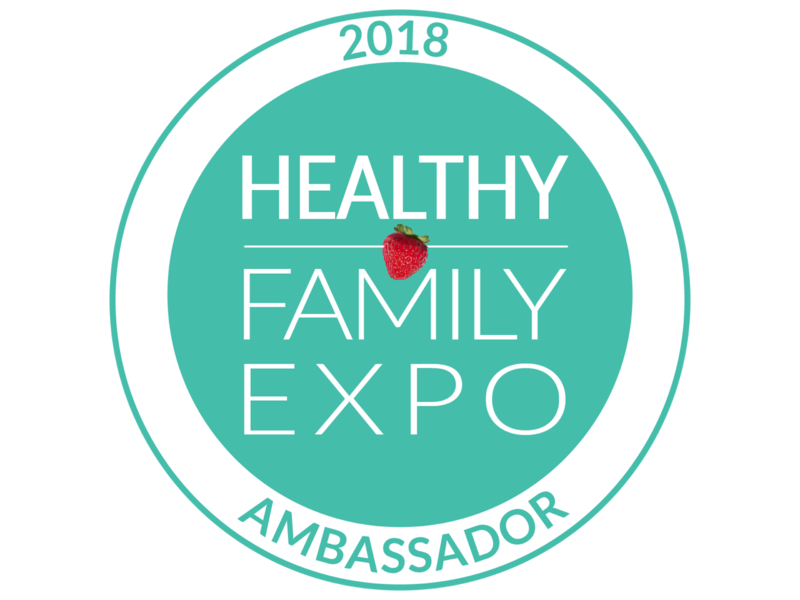 What a great way for the whole family to get in on the fun. The mystery mansion book looks really awesome, I think my kids would really like it. I am a fan of the Crocodile and Friends Animal Memory Game. We love them all but especially the Draw Like An Artist: Pop Art! I like Crocodile and Friends Animal Memory Game. My toddler would love playing it. My kids would LOVE that my nature activity book!